The house shown above was one of the four houses built by the Thornbury builder George Hodges around 1870. George named the houses Victoria Terrace. Read more about the early history of these houses. As far as we know the first occupants we know of were Edward and Lucy Liddiatt. Alfred and Emma Masters – the 1899 Rate Book and the 1901 Census shows the house was occupied by the Masters family. Alfred J. Masters was a assistant superintendent of assurance aged 39 born in Churchill in Somerset. His wife, Emma was aged 36 from Wincanton. They had three children: Winifred Emily aged 10 born in Bristol, Olive Bermee aged 5 and Gladys aged 4, both born in Kidderminster. Alfred James had married Emma Vining in Barton Regis (Clifton) in 1890. In the Census of 1891 they had been sharing a house at 3 Ashley Vale, Bristol – Alfred was employed by the Prudential Insurance Company. Mrs Reed – the 1905 and 1910 Rate Books show that the house was occupied by Mrs Reed. This must have been Ada Eliza Reed (nee Honour), the widow of Walter William Reed, the Baptist Pastor (shown in the photo on the left). They had been married in the Uxbridge area of Middlesex in 1892. 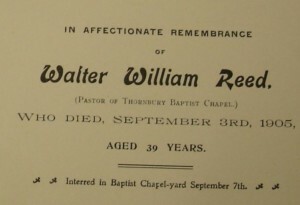 Walter had been born in Redbourne, Hertfordshire about 1866, the son of William Reed, a farm labourer and his wife, Ann. 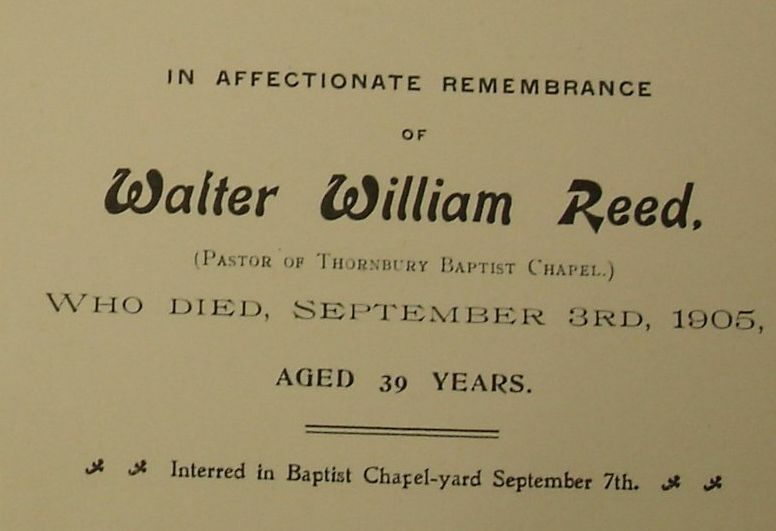 Young Walter also started working as a farm labourer but by 1891 Census he had become a Baptist Minister at West Drayton. He was living in the home of a greengrocer, Henry Honour and his wife, Sarah. In 1892 he married their daughter, Ada Eliza. She had been born in Cranford in Middlesex in 1867. The family moved to Thornbury in 1903 and the children initially attended Mrs Webb’s School in Alveston. They moved on to the Thornbury Council Upper School, Gladys in 1903 and Marjorie in 1904. The school records also show that Walter was acting as ‘Guardian’ for a child called Eric Newmin who had previously attended school in Plumstead. He left the school because he was ‘under medical treatment’. It is interesting to note that the records show that Walter’s address at that that time was ‘The Plain’. We do not know in which house on The Plain the family lived. Walter died on 3rd September 1905 aged 39 years. We know from the Rate Books that his widow was living in 21 Pullins Green. Gladys was withdrawn from school in 1907 because she was needed at home. By the time of the 1911 Census Ada and her daughters had moved to live in 27 Great Western Terrace, Cheltenham. Gladys was aged 18 and working as a typist in a printers. Ada’s unmarried sister, Grace Honour, was also living with the family. Ada moved back to Uxbridge area where she died in 1924 aged 56. The two daughters also married in that area. William Thomas and Beatrice Louisa Liddiatt – the 1925 Valuation List also shows William as living in this house. The 1915 and 1916 Prewett’s Directories list William as living in ‘John Street’ so we assume that they were probably both living in the same house at that time. The Electoral Registers of 1921 and 1925 show the house was occupied by William Thomas and Beatrice. It is assumed that William was the son of Edward and Lucy Liddiatt who were operating the fishmongers at number 11 Pullins Green. He was born on 24th October 1889. On 19th December 1912 William married Beatrice Louise Wiltshire in Thornbury. Beatrice was the daughter of Charles and Rebecca Wiltshire who were living next door at 23 Pullins Green at the time of the marriage. In 1916 William applied for exemption from military service. His application shows he had been working as an agent for Prudential Insurance for five weeks when he applied, and had previously worked for JH Williams, the outfitters. He claimed his work was ‘of national importance’ and it was noted that he had been twice rejected’. The application says that he was to be called up for substitution if required. We are not sure what this means or whether he was called up. Frank Biddle – the house was occupied from about 1935 to the late 1950s by Frank and his wife, Beatrice Annie (known locally as ‘Trish’). 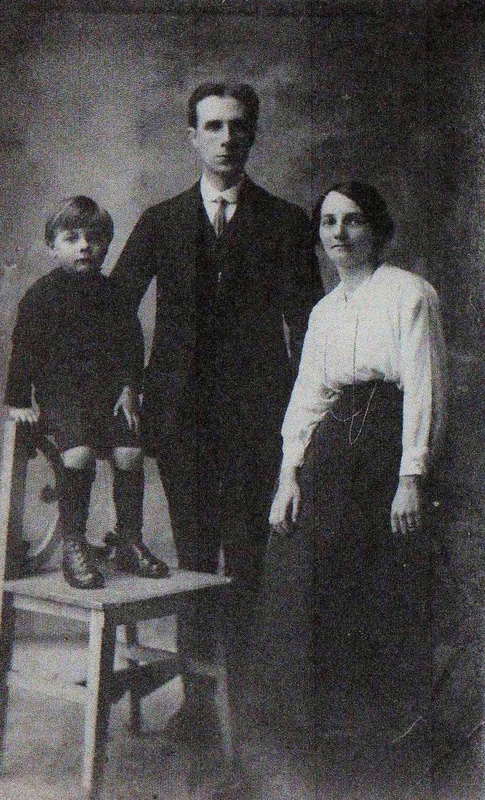 Ernest Frank Biddle was born in 1903, the third son of Ernest Biddle of Oldown. We suspect he was the son of Ernest Biddle, a carpenter and his wife, who were living in Old Down in 1901. At the time of his son’s marriage in 1955 Frank was shown as a house decorator. We know from personal experience however that he was head caretaker at the Thornbury Grammar School in 1956 and in the School records it shows he started in this capacity in 1954. He was there for 14 years until he retired in 1961. He is well remembered for the strict way that he kept pupils off the headmaster’s beloved cricket square and he spent a lot of time riding on the grass mower. It was however not his work in which Frank made his biggest impact. He had several other interests. Frank had an outstanding playing career in both football and cricket. After finishing as a player, Frank took up refereeing and continued being one for 25 years reaching the level of ‘Class 1’ in local leagues. According to the article on Thornbury Football Club written by Walter Phillips, Frank joined the club in 1920 and was active in various capacities until he resigned in 1950 on being made Vice-Chairman of the County’s District League. He had represented the Thornbury club on the League Committee from 1928. He became Honorary Secretary of the Club in the late 30s and also served as Vice President of the Club and Vice Chairman of the Premier League. ‘Frank Biddle began his long association with Thornbury in 1925, and two years later was elected to the Committee, proving his great worth not only as a player but also as a voluntary worker, helping tremendously with the upkeep of the ‘Ship’ ground for over 25 years when we could not find a full time groundsman. A great cricket enthusiast, Frank was always ready to give advice, and captained the 2nd XI for several seasons. Just over medium pace, he took 36 wickets at just over 6 runs each in his first summer, coming top of the Club bowling, and altogether captured 135 wickets for the first XI for an average of 10.3. During the War, Frank served in the VIth Maritime Regiment Royal Artillery which had a base locally at Kyneton House where they trained gunners for service on merchant ships. He later wrote an article on the history of this regiment. He was closely associated with the “drop in centre” for soldiers that was set up in the lower part of the High Street, in a building which later became Cranbrook Radios and then a Laundry Service. This was aimed at soldiers who were in town during the War. He was also a special constable for many years. We were amused to read issues of the Gazette for the war time years in which Mr Biddle obviously did his job conscientiously. He frequently gave evidence against his neighbours for offences such as showing lights or failing to immobilise their motor cars. Frank had married Beatrice Annie, the daughter of Frederick and Hannah Holley of Crispin Lane in June 1926 at the Thornbury Congregational Church. Beatrice was born in Thornbury in 1898. The Gazette report of their wedding refers to that fact that Beatrice was very popular as a reciter at local concerts. We know that the 1926 Rate Book shows that Frank Biddle was the occupant of number 7 Castle Street which he was renting from Mrs Smith. Frank and Trish (as she was known) had one son, Donald John, born on 3rd January 1933. The special register compiled in 1939 preparation for the war shows the Biddles had five lodgers at that time. These included Leonard J. Salter a butcher’s shop assistant born on 27th April 1915 and noted to work with St John’s ambulance during the war, and Lilian M Robbins born on 2nd May 1915 and her daughter, Shirley Eva born on 31st January 1936. 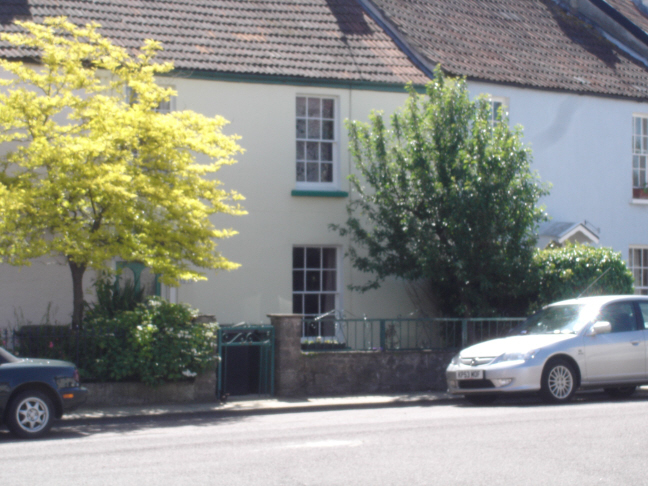 By 1965 Frank and Trish had moved to the first floor flat at Marston House, (34 Gloucester Road) the house next to the Grammar School in which the monumental masons, FK Howell and Craik Smith had lived. Trish was a deacon and organist of the URC Church and she died in July 1973. Donald went to the Council School and on to Thornbury Grammar School. He joined the RAF and went on to become an accountant. In 1955 at the age of 22 he married at the Congregational Church. His wife was Ruth Joan Case, a clerk and the daughter of Cyril Hamilton Case, a salesman. Don had the same enthusiasm for football as his father and was a player and honorary secretary for the Town club. He also became a referee like his father and went on to become one of top referees in the English football leagues. He served as a national referee from 1971 to 1979. In 1960 Don and Ruth were living in Ashley Hill in Bristol when their daughter, Della Louise, was baptised at Thornbury United Reformed Church. Gilbert and Evelyn Lock – the 1965 Electoral Register shows the house to be occupied by Gilbert E and Evelyn M Lock. Albert and Anwyn Morris – the 1970 Electoral Register shows the house was occupied by Albert T.J. and Anwyn V.D. Morris.